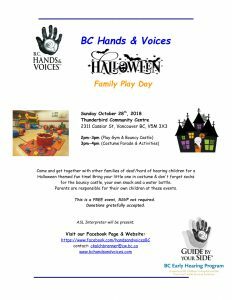 Come out and join us for our First Halloween Family Play Day! Come and get together with other families of deaf/hard of hearing children for a Halloween themed fun time! 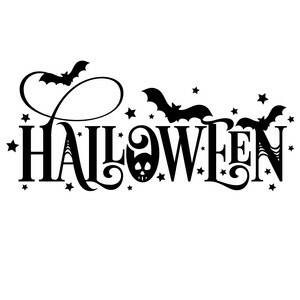 Bring your little one in costume & don’t forget socks for the bouncy castle, your own snack and a water bottle. Parents are responsible for their own children at these events. This is a FREE event, RSVP not required. ASL Interpreter will be present. Click below for the pdf flyer to share!